Austin pushed himself to stem the learning curve, bringing plenty of his own horsepower to the team. In fact, last season Austin led all NFL rookies in receiving touchdowns (seven) and tied for most receptions (60), finishing the 2009 season with the fourth-most catches by a rookie in franchise history. Austin adds, “Last season was like a dream, winning game after game, the pinnacle being the AFC [American Football Conference] championship. It was the best game of my life.” In that critical game against the New York Jets, Austin caught seven passes for a total of 123 yards, including a touchdown. 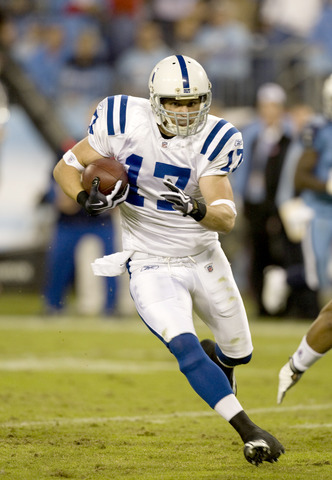 His outstanding performance helped clinch the Colts’ place in the Super Bowl, where they would battle the New Orleans Saints one week later.